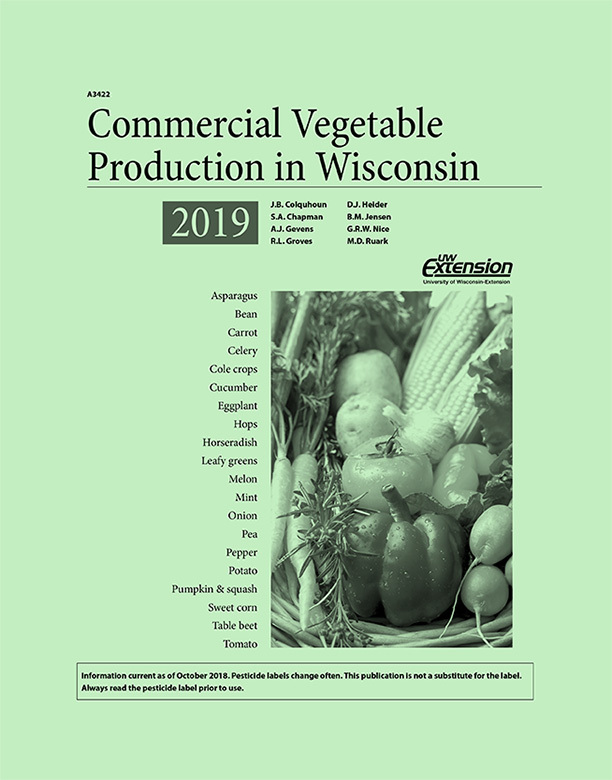 This guide offers the latest recommendations for disease, insect, and weed management in Wisconsin’s most common commercial vegetable crops. 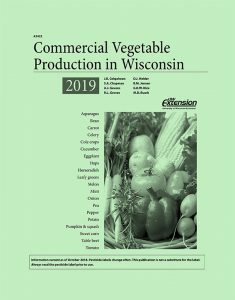 Also included are lime and fertilizer recommendations as well as insect identification information and keys (328 pages; December 2018). Crops covered include asparagus, bean, carrot, celery, cole crops, cucumber, eggplant, hops, horseradish, leafy greens, melon, mint, onion, pea, pepper, potato, pumpkin & squash, sweet corn, table beet, and tomato.